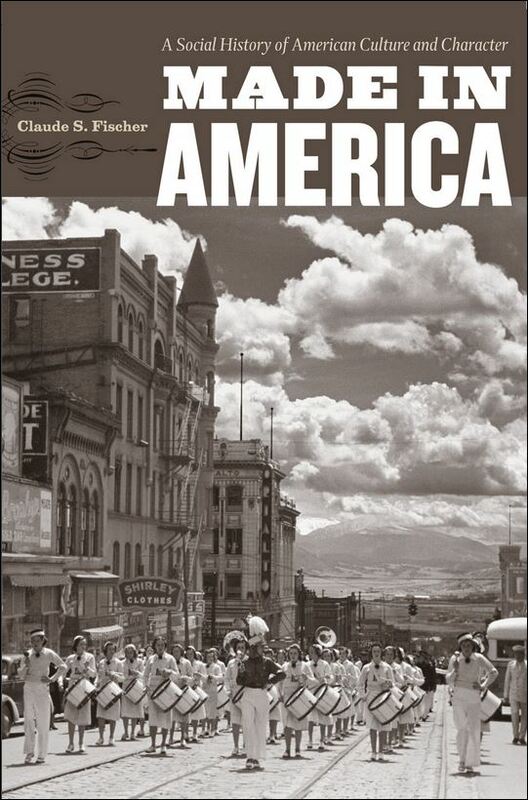 MADE IN AMERICA | Notes on American life from American history. Baseball fanatics like me love to wallow in cliches such as “baseball is life.” “Baseball is a lot like life,” said Hall of Fame broadcaster Ernie Harwell. “It’s a day-to-day existence, full of ups and downs. You make the most of your opportunities in baseball as you do in life.” Yes, indeed. Regularly enough, however, a desiccated cliche like “baseball is America” comes alive. Such is the comment of San Francisco sportswriter Henry Schulman upon the announcements that Bryce Harper will get a guaranteed $330 million over 13 years from the Phillies and Mike Trout a guaranteed $430 million over 12 years from the Angels. (Trout will receive annually about 25 times more in real dollars than Babe Ruth ever did. He will make about 800 times as much per year as the median American worker today makes–and he will have a lot more fun making it, too.) “So, if I understand Baseball economics now,” Schulman tweeted, “a few guys at the top earn more than they can spend in 100 lifetimes, a lot of players who used to be paid decently now get scraps, and the group in the middle is shrinking quickly. No, wait, that’s America!” (@hankschulman 3/20/19). Indeed, the pay disparities developing in major league baseball roughly parallel those that have developed in the general economy. (Mind you, no one need weep for the lowest-paid major leaguers; their minimum wage is about a half-million dollars a year. The real proletarians are average minor leaguers; they effectively earn less than the national minimum wage under difficult working conditions.) Another commonality between baseball and American economics is how massive data-crunching has helped produce growing inequality. Now that the decades of rapidly rising economic inequality have become evident to all, the center of public debate has shifted toward the question of what, if anything, can be done to reverse the trend. This development is most dramatically displayed in the eagerness with which newly-energized progressives have proposed ideas such as a 70 percent marginal top tax rate, a two-to-three percent annual tax on wealth, and a beefed-up estate tax. Polls show that most Americans, even many rank-and-file Republicans, dislike growing inequality and endorse, at least in the abstract, taxing the rich more. However, when it gets down to concrete action, Americans–with our insistence on “deservingness” and “just desserts”–typically back off from redistribution. We instead prefer expanding opportunities for people to get ahead, especially by broadening access to education. Unfortunately, while increasing access would make for a more equal inequality–I’ll explain what I mean by that in a bit–it would do little to compress the ever-yawning income and wealth gaps. That is because the core problem is not making the race to the top fairer, although that is a worthy goal, but is making the results of the race to the top fairer. There, the options are even tougher. One of the most viewed posts on this blog is a 2010 essay titled “A Christian America? : What History Shows.” It addresses the question of whether this nation was born Christian. What history shows is that most Americans at the time of the Revolution were “unchurched” and not much theologically Christian (more superstitious than religious). The evangelical movements of the 19th century Christianized America. But there is another way to pose the question, “A Christian America?” How Christian are Americans today compared to people in peer nations–in other western, affluent, nominally Christian countries? In one sense, we are the most Christian people, but in another sense, the least. It’s about talking the talk and walking the walk. Shareholder value is the doctrine that officials of a publicly-held corporation must focus on maximizing the value of its shares rather than act in the interests of workers, suppliers, customers, the local community, society at large, the environment, themselves as managers, or the corporation itself. The ascendancy of this guiding principle since about 1970s has boosted inequality by making investors and management much wealthier and by weakening workers and localities. Dealing with this idea is one of the challenges facing those who seek to reverse growing inequality. For several years now, this blog has tracked growing political partisanship in the U.S., the estrangement between grassroots Republicans and Democrats that echoes some of nineteenth-century inter-party vitriol, although does not reenact some of nineteenth-century bloodshed (yet). The division is increasingly about culture and identity rather than about policy. Differences on issues such as health, immigration, and entitlements are not fundamental–witness red states voting for Medicaid expansion and raising the minimum wage. Instead, more and more voters are basing their policy preferences (and a lot more) on their parties. Furthermore, party lines increasingly match regional, state, and community borders, which intensifies the political consequences. This polarization had been under way for a few decades among political elites but not among the wider public until more recently. Trump’s victory depended critically on that polarization; his campaign and presidency, in turn, widened it. Both in 2016 and 2018 Trump spurned the “big-tent” outreach strategy of the GOP elites and instead revved up the base over cultural topics. One result of this year’s midterms is, as many commentators have noted (e.g., here), yet further widening of the cleavage. The very size of the midterm turnout is one sign: Massive mobilization against Trump seemed to spur massive mobilization for Trump. In the end, a handful of culturally red states purged themselves of anomalous Democratic senators as many culturally blue congressional districts purged themselves of anomalous Republican representatives–often by replacing them with the sorts of victors who provoke the Trump base: career women, minorities, LGBT, and even Muslims. Where is this bitter polarization heading? Americans have in the last few generations increasingly sought “authenticity”–authenticity in things such as food and music, but most especially authenticity in others and in themselves. Twentieth-century philosophers and scholars of popular culture have noticed this growing pursuit of the authentic. We can even put numbers on it. Phrases like true me, real self, and authentic self appeared much more often in American prose at the end of the twentieth century than they did a century earlier. In contrast, the phrases better me and better self became scarcer–a comparison to which I will return. The O.E.D. presents many definitions of authentic, but states that its “usual sense” these days is “genuine,” and particularly, with respect to people, “truly reflect[ing] one’s inner feelings; not affected, unfeigned,” or more generally, “the condition of being true to oneself.” This definition assumes that there actually is a stable, core, distinctive “oneself” to which one could be true. Nonetheless, Americans, long heavily engaged in self-perfection, have been lately searching more and more for this elusive true self–a pursuit that has affected our politics up to and including the 45th president. On August 24, 2018, President Trump warned 100 evangelical leaders who had been summoned to the White House that the fall’s midterm elections are “very much a referendum on not only me, it’s a referendum on your religion.” White evangelical Protestants had overwhelmingly–77% of them– voted for candidate Trump in 2016 (versus 57% of white mainline Protestants), while the religiously unaffiliated had voted overwhelmingly against him–only 24% for Trump. A year and a half later, white evangelicals and the unaffiliated were virtually unchanged in their rates of heavily supporting versus heavily opposing the president. Religion and politics have been intertwined through much of American history, especially since Catholics starting moving here in large numbers. Americans’ party allegiances tended to follow their religious allegiances. Seemingly new to this century is the extent to which the reverse is true, that politics is driving religious identity. Since this possibility was first discussed by some of us about 15 years ago (1, 2, 3), this reversal of mover and moved has become increasingly apparent. A few weeks after Trump’s declaration to the assembled evangelicals, the election-predicting website 538 posted a story titled “Americans are Shifting the Rest of their Identity [sic] to Match their Politics,”drawing on an as-yet unpublished study I discuss below. Two recent developments in this story lead me to update earlier posts (4, 5, 6): In the academic world, research on how politics shapes religious expression has boomed. And in the real world, the mutual influence between Caesar’s realm and God’s realm has tightened.